It is surprisingly difficult to convey how much the Wilderness Classics have meant to me. I was introduced to them through my recreation partner John Pekar, who had done a few summer Classics before convincing me to join for a winter course. It was grueling. I lost toenails, got frostbite, and took months to recover from tendonitis in my knees, ankles, and wrists. I swore to never do it again. 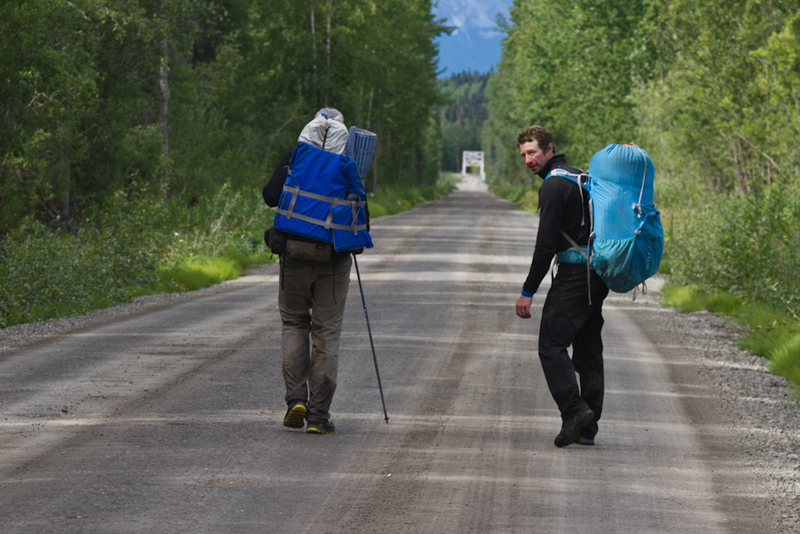 But as the physical ailments wore off I was left with the realization that I had experienced 180 miles of Alaska’s mind-blowing wilderness, 40 miles a day under my own power and with one of my best friends. 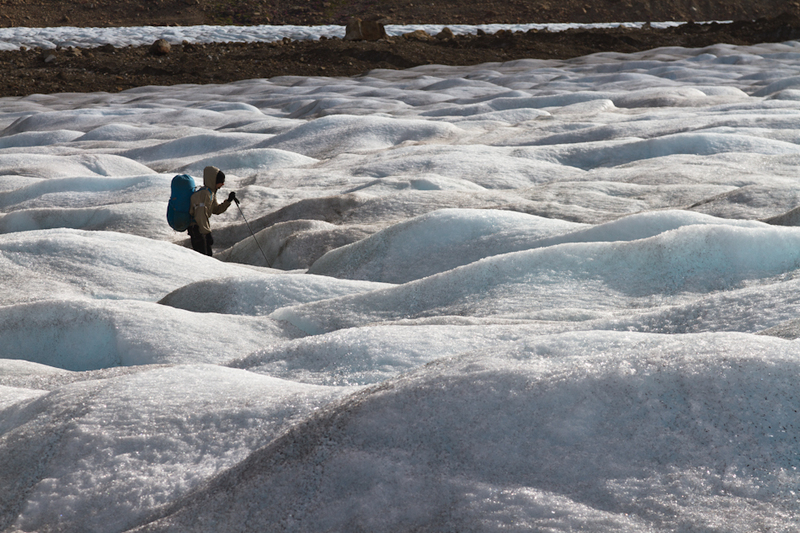 I learned a lot about myself, physical limits, and backcountry travel. I’d never learned so much so quickly, and I was aware of a lot of room for improvement. I felt super-human, empowered, invincible. I was addicted. The first several years were all about the accomplishment, proving that I had the muscle to cover the ground and the skills to manage the risks. The learning curve was steep. I reveled in the tricks I learned, my improvement, and the stories of successes and failures from the other participants. Racers ranged from professional Air National Guard Pararescuers to hermits that crawled out of the woods carrying more pot than food. Rob Kehrer was a constant presence, year after year, summer and winter. We teased each other about our opposing strategies. 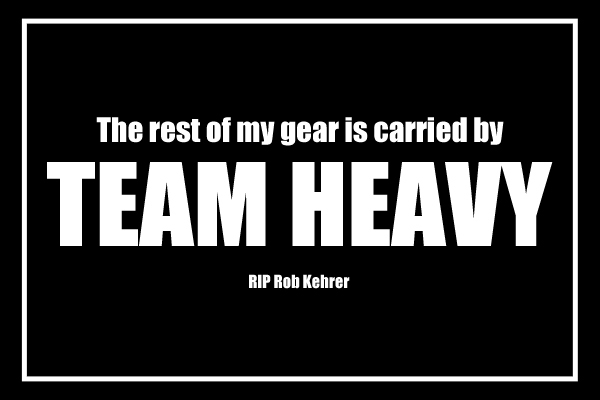 I can’t remember if he was already “Team Heavy” or if Greg or I coined that term. He loved to remind me that John and I spent 15 minutes discussing the option of each carrying one crampon, and finally decided not to bring either. Rob on the other hand carried creature comforts, like down booties, even on the summer course, when most folks don’t bring a sleeping bag. More than once he carried extra gear that he forgot about. At the end of a winter course Rob pulled out his repair kit and realized that he had forgotten to repack it after his snowmachine work for the Iditarod Trail Invitational. He had carried spark plugs and wrench through 180 challenging miles of the Wrangells, while I had opted to leave my toothbrush at home. The learning curve grew more gradual. My friendships from the Classics grew into month-long big-mountain trips: Denali, Logan, Fairweather, the Cook Inlet volcanoes. 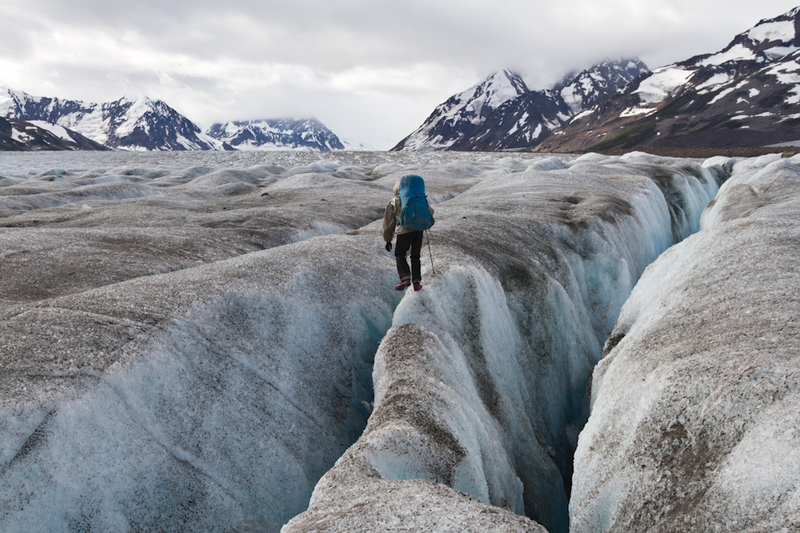 We realized that our combined experience enabled us to include less experienced friends, girlfriends and others, and share with them the rewards of covering hundreds of miles in Alaska’s wilderness. What these groups all had in common was the ability to laugh through the hard stuff. Nobody could do that better than Rob. You just kind of isolate that part of your brain and convince yourself that things will improve, because they do. Oh look! A squirrel! Rob wasn’t a mountain athlete. He never got the hang of gliding on skis, never got comfortable on water even though he rafted the Talkeetna, Tasnuna, Copper, Yanert, Klu, and ultimately, fatally, the Tana. I wish I had asked why the Classics were so important to him. I think I get it, I think we have that need in common, but I would have liked to hear him say it. I think Rob was there because time in the wilderness, the mental and physical challenge of navigating the land, was grounding for him, completed him. Rob needed that experience to counter the stress and reality of ‘the real world.’ He told me how much he appreciated my videos and that he had watched them hundreds of times because they were the next best thing to being out there. Rob so clearly loved to brave the challenging beauty of the natural world. And he did it over and over again. And if I loved him the way I love you, would I put a stop to his adventuring if I could, in order to protect him from harm? Even if I had that power, I would do as I do now. I take the risk of losing you. Thank you to all the friends and family, blood and Classic, that have reached out to support Rob, Tammy, Greg, the Classic, and myself. I am blessed to have you in my life. Twenty-three racers started the third and final year on the Thompson Pass to McCarthy course, arguably the most difficult course to date. Of the starters, 13 had attempted or finished the course in 2012 or 2013. This was the first time the Classic was held in August for many years, and it meant losing light around 11:30, thick brush, low water in the small drainages and high water in the large. 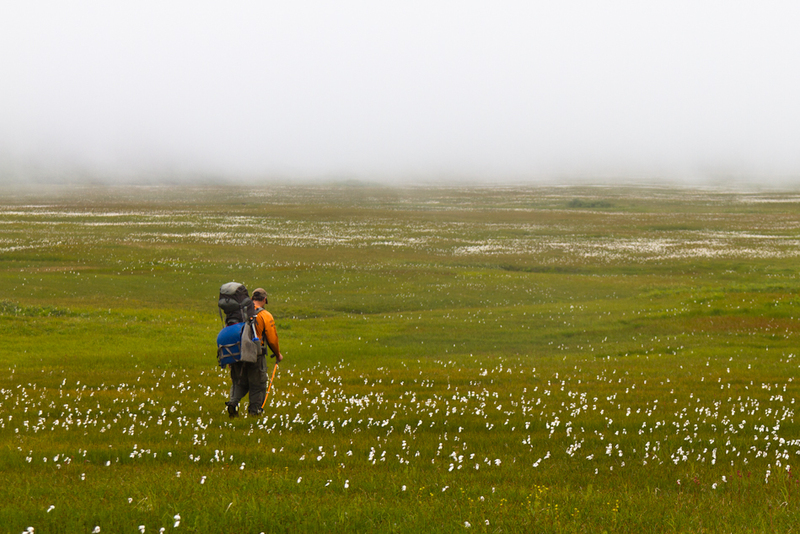 Sunday’s weather was drizzly, low clouds rolled in and out of Marshall Pass providing limited glimpses of the route. Only half the racers made it past the Tasnuna River put-in on the first day. Chris Shumate and Kalin King ran into trouble running the rapids in the dark, both lost their boats and spent the night around a fire. Racers lower on the river found the boats and paddles and propped everything up on the shores so that they could be picked up later. Chris and Kalin flew out the next morning. Danny Powers and Wyatt Mayo pioneered a new route that accessed the Tebay Lakes. 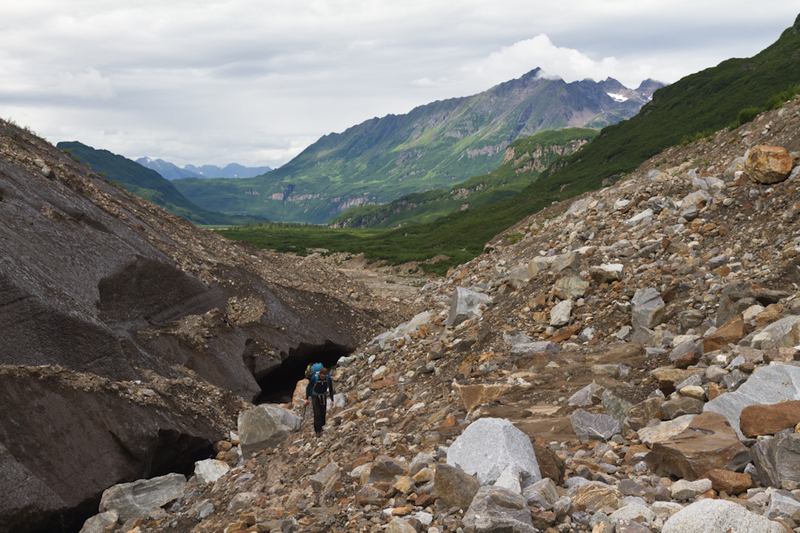 Lee Helzer and Alan Rogers planned on a similar route but turned around when the barely manageable brush turned to unmanageable steep and loose rock. Danny and Wyatt were due for a finish after bailing just 5 miles from the bridge in 2013 due to Danny’s systemic infection. They finished Saturday at 10 AM. 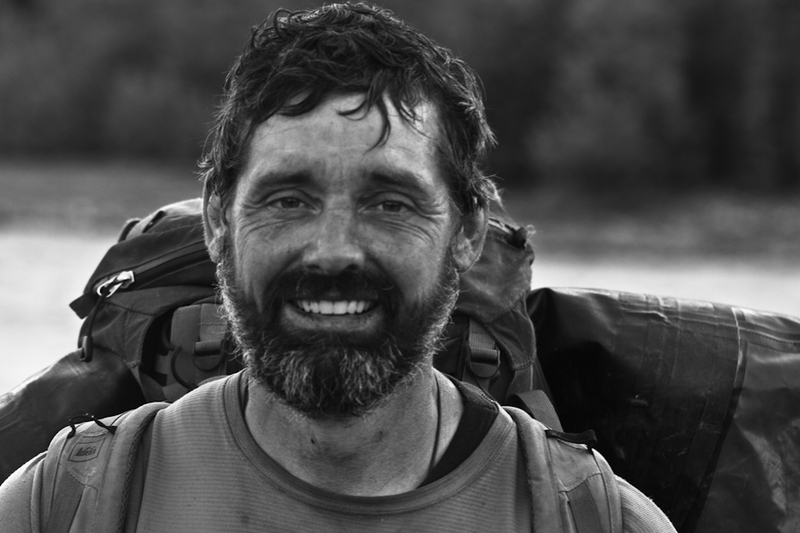 I can tell you that this trip taught me more about perseverance and acceptance then I thought possible from a wilderness trip… That was when we knew that our skills, experience and confidence would see us through these mistakes and that we can deal with circumstances and make due with what we have. We worked through them and I believe we are better individuals because of it and a better team in the wilderness. If anyone could give Todd and Ganey a run for their money, it would be Toby Schwoerer and Gordy Vernon. Toby has been winning ski and mountain running races his entire life, and Gordy is a Classic legend. Todd Kasteler travelled with them, which can only mean they were cruising, because Todd is a monster. But apparently they opted for more than the 11 hours of sleep (total) that Todd and Ganey took. Todd Kasteler peeled off at some point and flew out because he was overdue for another commitment. Toby and Gordy finished Thursday. Tory Dugan had scratched last year and returned with Meg McKinney and Matt Kress for the ice route. The group pushed into the night Friday to finish by headlamp, 3 AM Saturday morning. They were partially motivated by having run out of food. All three were absolutely radiant with the accomplishment when I saw them that afternoon. It was awesome for me to see that. Meg was bouncing with energy, while my legs were barely sturdy enough to make it to Stefanie’s ice cream shop. I started the trip with Team Heavy, nervous about my bad foot and coming into the course off the couch. I had always assumed that Greg Mills and Rob Kehrer moved slowly, and was surprised to discover otherwise. Rob is slow on the transitions, but while we were moving it was a good pace. It was really fun for me to watch their dynamic. I’d been fascinated by Rob’s passion for the Classic since I’d first met him on the Nebesna to McCarthy course in 2008. I watched several times as Greg would silently pick up a dangling strap from Rob’s pack and attach it to the pack without Rob noticing. Greg describes Rob as both the big and little brother. We finished the first night traveling with John Pekar and Matt Kupilik. It had felt weird not to be traveling with John, my primary partner before he grew up and started a family, so this was ideal for me. 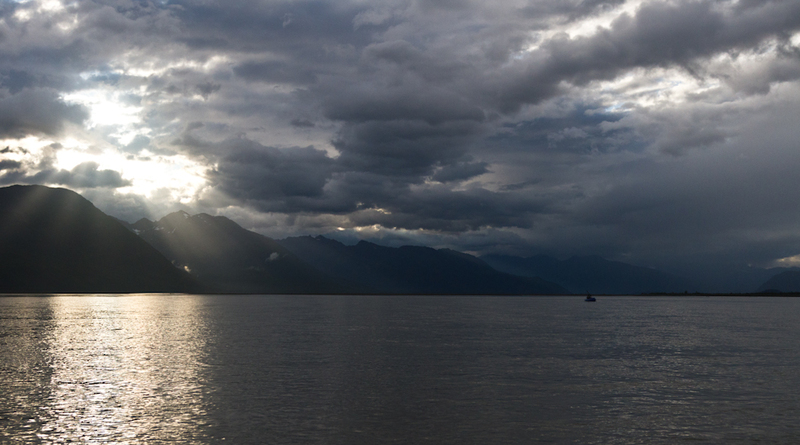 The five of us spent the next day floating the Tasnuna and Copper rivers in a mix of sun and rain, but with consistently beautiful cloud layers. We saw two groups of rafters on the Copper. The first was my friend Shasta Hood and his family, who gave me beers and a puffy jacket (in my rush as organizer and participant, I had neglected to pack my puffy pants and jacket for sleeping). Rob and Greg were thrilled to have a beer on the float. The second group was Classic vet John Lapkass with friends and family. John gave me another beer which I passed on to Rob. From this point on, the scenery was new to me, which was my motivation to try the ice route. I’ve never seen such steeply vegetated mountain walls. It reminded me of the jungle walls I’d seen in Mexico. 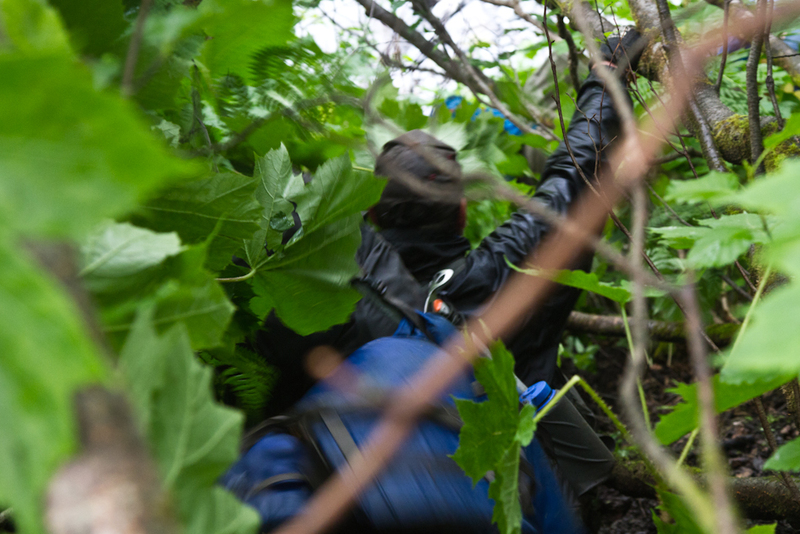 We pulled out at the Wernicke River and camped near Tory, Meg, and Matt, with waterlogged alder that refused to burn hot enough to boil water. 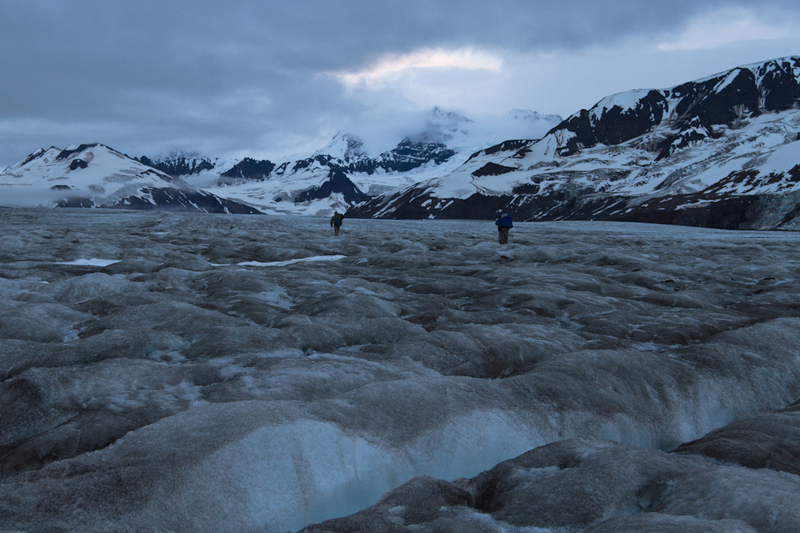 As we approached the ice I decided to keep traveling with John and Matt. I had spent a lot of time on the decision. I loved the novelty of being with Team Heavy, but John was ‘my people.’ We’ve shared so many miles, it is effortless to travel together. Matt was wide-eyed about the scale of everything, “This has been a lot harder than I expected,” but in great shape and able to keep John and I motivated to keep moving. Traveling the ice was awesome. 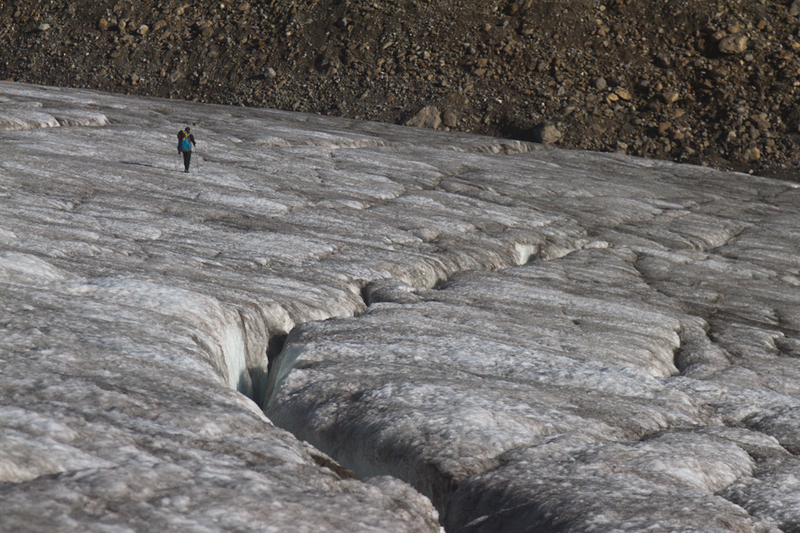 There were countless crevasses, most too small to be any danger, but also some fields that were a maze to navigate through. 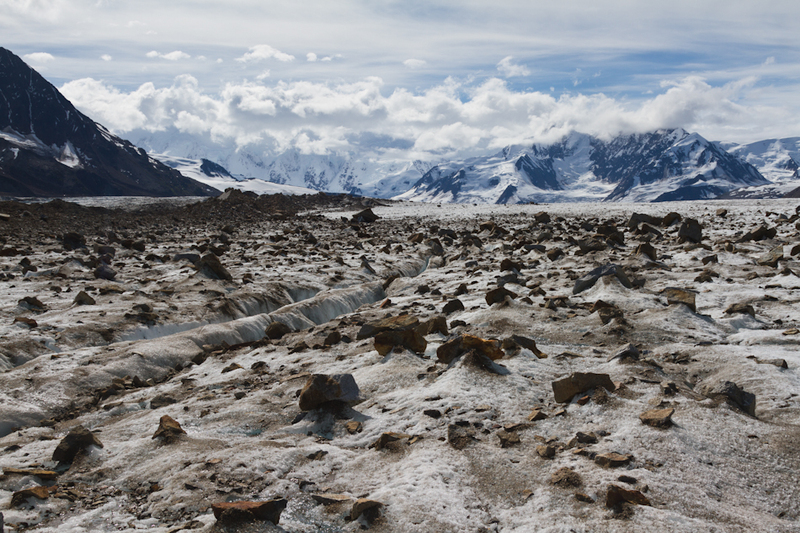 We were especially inefficient getting off the Fan Glacier. When not watching our feet, the mountain scenery was incredible and we lucked out to have the clearest days while on the ice. This was the most visually stunning route I’ve been on. We spent one night on the ice. I had been nervous about being cold without a sleeping bag or tent, but my hot water cozy and Shasta’s jacket earned me a solid 4 hours sleep. This challenge was a milepost in my life and has affected every facet of the way I understand wilderness and friendship. Both Rob and Greg had a huge impact on the attitude of my trip, and I am thankful for the short time I was able to spend with Rob. One of his favorite quotes: “I come here to find the cracks within myself, then I come again next year to see what I did with the cracks.” Thanks go out to you all. Love and sympathy to Rob’s family and friends. The cracks quote is attributed to Bill Merchant of the Iditarod Trail Invitational. 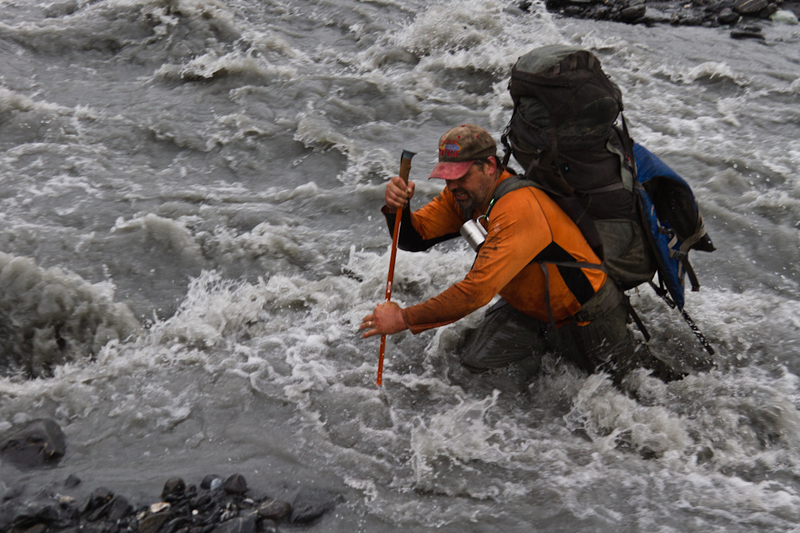 Russell continued solo after leaving Team Heavy, only to lose his boat in the headwaters of the W. Fk. Tana River. He was picked up by Paul Claus (Ultima Thule Lodge) later that day. Greg said that he and Rob were anxious to talk to the other racers back in town to be told the easy way to get on and off the ice. I laughed because we were struggling just as much. The Tana River is, in some ways, the epitome of a remote, wild, huge, fast, and cold Alaskan river… The Tana has 8 or 10 rapids on the scale of those in the Grand Canyon… it is of pool-drop character, with relatively gentle sections between major drops… the drops are not between true canyon walls, and sneak routes are possible… In the canyon itself… powerful boiling eddies are encountered, but no riverwide drops. Of the twelve, Todd, Ganey, Toby, Gordy, Tory, Meg, and Matt ran the entire canyon, and all had run it previously on scouting missions (or in Todd and Ganey’s case, during the 2012 Classic). Even so, both Tory and Matt had brief swims. 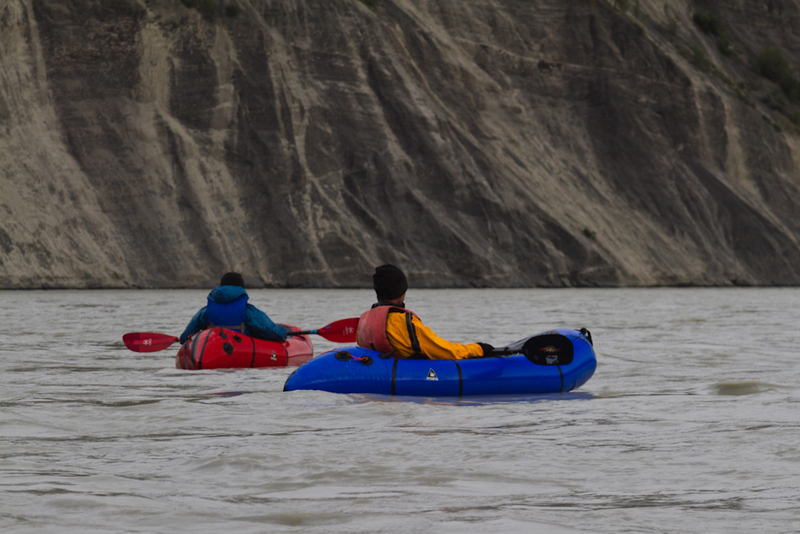 John, Matt and I decided to skip the canyon entirely by bushwhacking over to the Chitina, a frustrating abuse on our tired feet, but consistent with our risk assessment. Matt had lost his pfd in the brush and was wearing mine while I had half of a sleeping pad stuffed into my jacket. As we approached the canyon and the rapids grew more powerful, Matt said, “That’s my limit,” and there was no need for further discussion. Rob and Greg walked above the cliffs to pass the class IV rapids and put in where the portage route forced them down to the water, just short of a 90 degree left hand bend in the river. They were only in the water a short time when the powerful boils and eddy lines flipped Rob’s boat. Greg didn’t see Rob again. 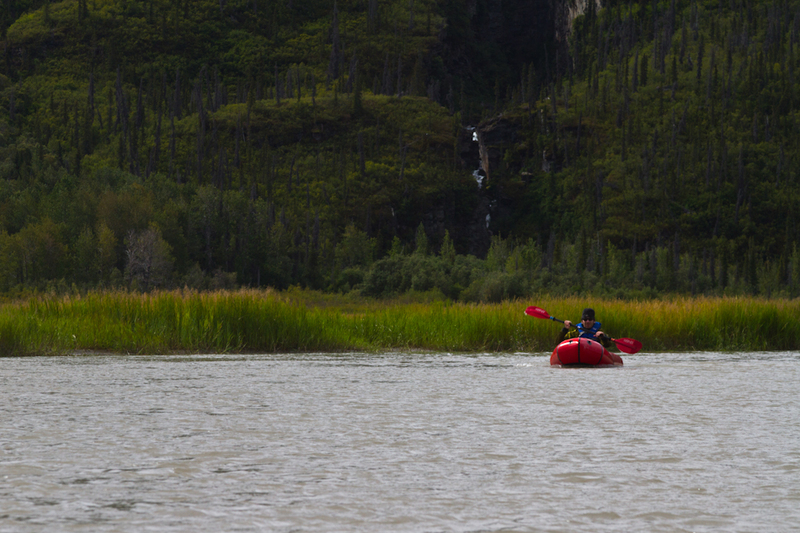 Greg was able to paddle through the boils, collect Rob’s boat, and work his way to a gravel bar on river right. He worked his way back up the bank on foot, yelling out for Rob. Greg used his sat phone to leave messages with our in-town contact and my sat phone. I contacted Ultima Thule Lodge that night, and Ben Gray was in the air by 7 AM. The potential need for help was relayed to the Air National Guard and NPS at that time, and the rescue effort was fully deployed when Ben returned with no sighting. Due to the combined effort of the PJs, NPS heli and ground crews, and Ultima Thule’s pilots Paul Claus and Ben Gray, Rob’s body was recovered by mid afternoon. Greg had had the night to make peace with the loss of his best friend and hero. He and Tammy later talked about how excited Rob would have been to watch the ultra-efficient rescue effort and to get to fly in the Blackhawk. Tammy’s incredible strength and love was evident as she had to confront this new reality. It was clear that she and Rob had often talked about the risks he took and that she understood how important the Classics were to him, so important that they were part of their wedding vows. The news rippled through the Team Heavy support crew, ‘The Outlaws,’ camped at the Lakina Bridge, a group of Tammy’s friends that plied each racer with chili and beer, even if they arrived in the middle of the night. The heart-wrenching news spread to family and friends, and then an overwhelming volume of love and support poured in for Rob, Greg, Tammy, and the Classic. I’m telling myself that this is another of Rob’s gifts to us… to bring together a community, a family, and to remind us how to live life to its fullest. And it won’t be his last gift. There are so many stories about Rob. He was so humble that he was quick to let people know of the hilarious mistakes he made, from soiled pants to broken bindings. He was silent about his accomplishments, but we know those too. Those stories will keep circulating. Thank you Rob for the laughter, inspiration, and everything else that you continue to give us. 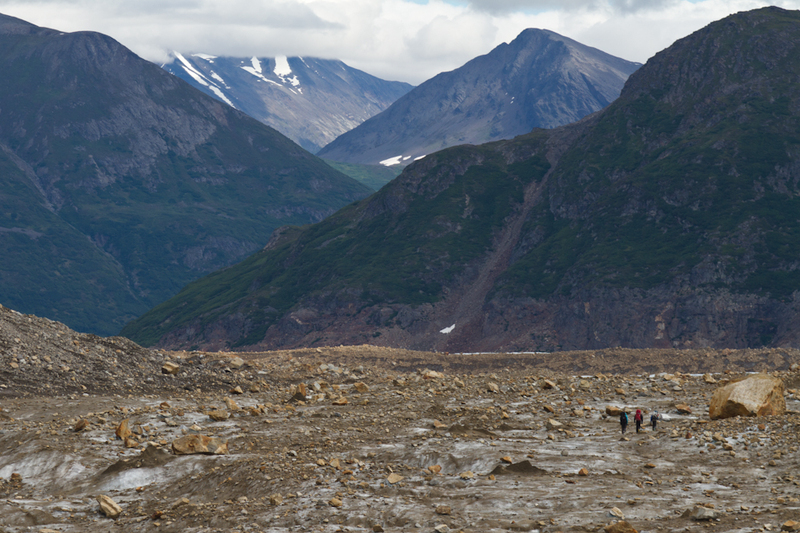 Thank you also to the Air National Guard PJs, the Wrangell-St. Elias Park Service Rangers and Rescue Volunteers, and Ultima Thule for their help and support. Thanks Luc for writing this. Rob has left us with many wonderful stories. I will miss his laughter, courage, humbleness, and compassion. Rob embraced the Classic and reveled in how it can change people. For some that change is more profound than others. I would not be who I am if I hadn’t experienced it. Seeing Rob, along with the rest of the family, at each race start has always been one of the highlights. I will miss him at the next one. because I share it (or try). Love to you all. Luc, thanks for reaching so deep to share this heartfelt account and for offering a glimpse into the spirit of a true Alaskan adventurer. Amazing read and we were honored to not only be there representing “the Outlaws” but to also support the amazing athletes that came in throughout the day and night to find comfort at the end of their adventure! Beautiful tribute. Thank you so much for putting into words what a lot of folks are feeling. A perfect tribute that made me laugh and cry.You captured Rob, and reminded me of the vast beauty and harshness that is Alaska. Amazing. Thank you for this beautiful tribute. So many, many hearts are broken over the loss of Rob (that in itself a tribute to the fine human being he was). We can take some solace in knowing he died in his element, doing what he loved. Beautifully written and captured. Thank you, Luc. All my love to the Classic community. 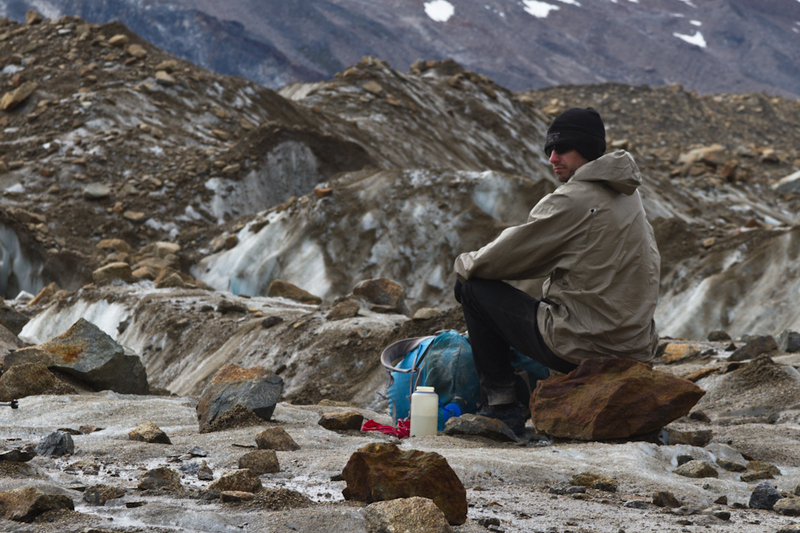 Luc, so sad to hear about Rob … we did get to know him only briefly on a few winter classics here in the Brooks Range but we remember him fondly – he was one of those people who just spread good vibes and well-being …. please extent our condolences to his wife. And my respect to your Mom, she says it all! Sorry for your loss Luc. Rob sounded like an incredible human being, the kind we need more of in this world. I’m sorry I never had the chance to meet him, but from your article it sounds like he will never be forgotten. Prayers out to you, his family, and anyone that has been touched by Rob. Luc, this is a very compassionate and thoughtful response to a tragedy. I think all of us who have facilitated the Classic’s happening have feared the worst at some point. You have managed it with grace. Also in my reading of events it seems like Greg and others responded in the most appropriate way, how we as responsible participants should respond. At some point it will be worth it to review events with a mind to what we can learn. For instance, is it an event requirement that “teams” must include one sat phone or other communication device per team member, or one per team? I ask for reasons that should be crystal clear now. Also I am quite distant from everything surrounding the Classic currently, here in Costa Rica struggling with my own grief, questions, and guilt. But one question I have is whether Rob had a dry suit or not? I assume that he did, of course, but would like to know for sure. Perhaps it is too soon too raise these questions. Please, friends and family of Rob, please don’t take these questions the wrong way in the midst of your shock and grief. Every hour of every day for the last three weeks while I search for my son I ask myself tough, painful questions, questions whose answers may at least offset potential loss. Thank you for this wonderful story of the 2014 Classic. It’s hard for those of us who live in the lower 48 to even comprehend what you all have accomplished. Just driving from Thompson Pass to McCarthy was an adventure last year. Luc, thank you for the addition of the amazing video to your already beautiful tribute. You have helped so much as we continue to process Rob’s death. 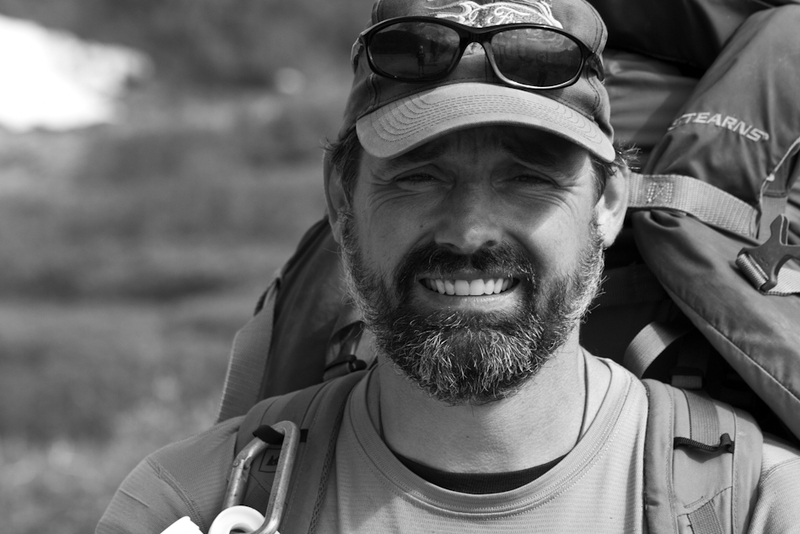 It is truly inspiring to see the awesome adventure Rob was on at the time of his passing. In this we can take some bit of solace. Thanks for the touching write up Luc. That song in the video is a jam! Rob’s kindness was immediately apparent to Dan, Mike and I. We felt a bit shy, like lower-48 newbies, and Rob made us feel welcome. He even shared some of his freshly caught halibut with us the night before the Classic (a gesture of pure Alaskan generosity and hospitality that took us DC kids aback and put us at ease at the same time). It was damn good halibut. We enjoyed laughing with Rob and Greg as we explained our prospective route through the infamous Bremner Brush. “You’re smiling now…”, Greg said, which made us chuckle and made me look forward to talking to Team Heavy about our battle with the brush once we’d made it to the finish line. Rob even gave us a bush-whacking pep talk after everyone had gone to sleep – he told us just to keep on moving, and then about his down booties, which seemed incongruous for a summer Classic. There were definitely moments on this Classic where I envied those down booties. 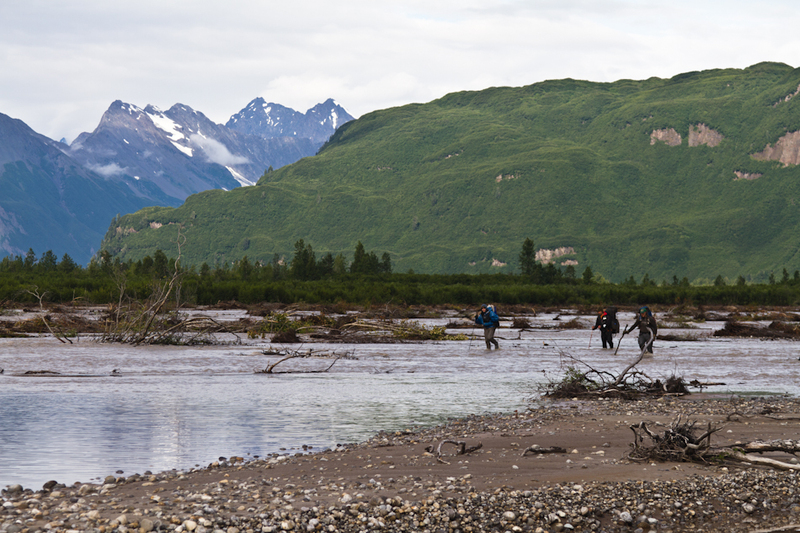 Waiting at the finish line with The Outlaws for Team Heavy were some of the best memories from our trip to Alaska. What a great group of friends. Tammy is an incredibly strong person – gracious, kind, loving, calm and constructive in a time of emotional distress. 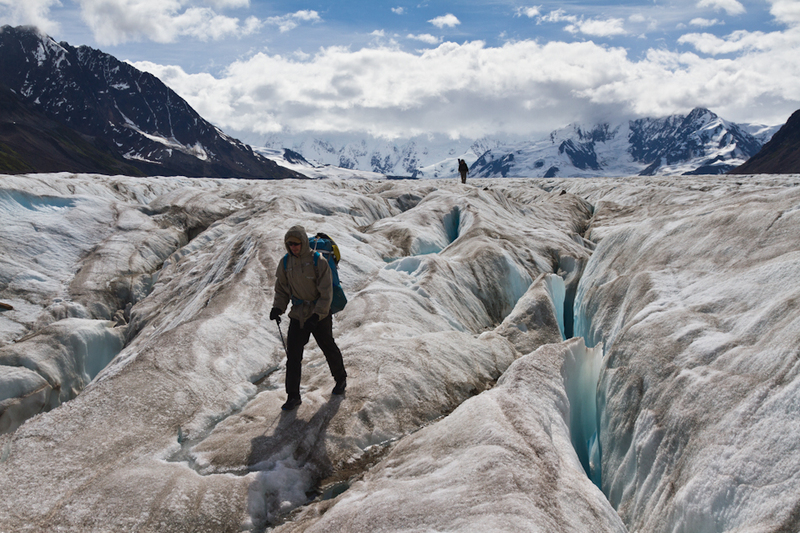 The image of Tammy carrying Rob’s (very heavy) pack on the Talkeetna/McCarthy airstrip is one I won’t soon forget. Dan, Mike and I feel quite lucky to have met Rob, Greg, Tammy and the rest of The Outlaws. You are all in our thoughts, sending you lots of love. 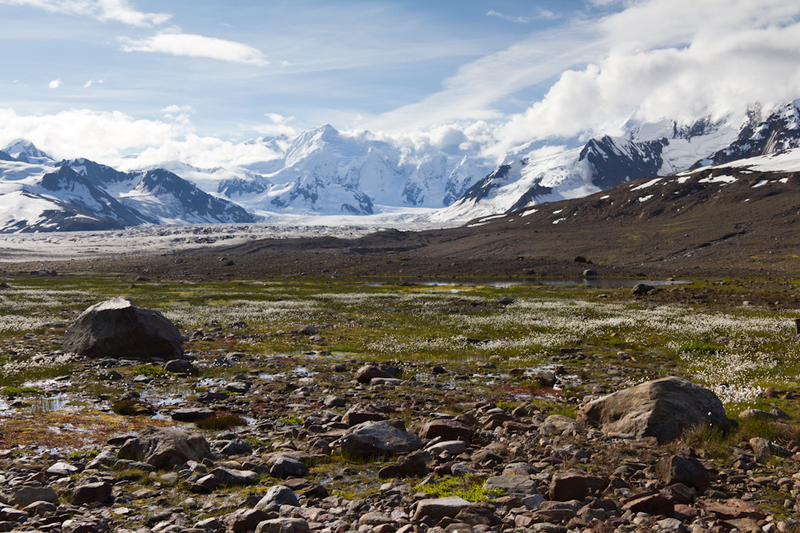 …and by Talkeetna/McCarthy, I mean Kennicott/McCarthy. Rob is the first person I’ve known who’s death was the result of the risks I commonly take when I embark on these kinds of wilderness trips. That really hits hard for me. 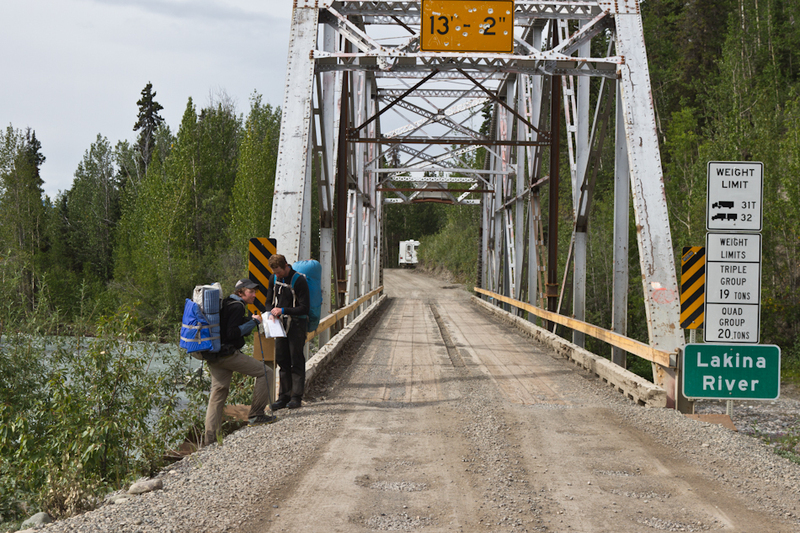 I’ve shared this with Luc already, but to other friends and family, one of the most memorable moments I have of the 2013 Classic wasn’t simply finishing in the grueling amount of time it took us…but waiting in anticipation for Team Heavy to cross the bridge. When they did a few hours after we had, I met Rob at the bridge and shook his hand. He was so physically and mentally exhausted that he seemed to look right through me, but I could see in those eyes a level of elation that simply didn’t make it to the facial surface. I was eternally grateful to him for having “accidentally” run into my packraft after he and Greg passed us on the Tasnuna River. If not for that assist, there’s no way I would have been at the Lakina bridge to greet Rob as he finished. When I got word of his passing, this memory began to circulate through my mind. It hasn’t really left. Wonderful Luc! Rob would of loved it! He would of made all of us watch it several times! Thanks for the ending truly touching! Thank you so much for sharing this incredible video Luc! Our 10 year son and 13 year old daughter referred to Rob as “Uncle Rob” because Tammy has always been “Aunt Tammy” to our kids. Your video heavily impacted our son this morning as he dissolved into a pool of tears wishing that he could bring Uncle Rob back. It made it real, especially since we are in CO and couldn’t attend Rob’s Celebration of Life service the other day. That song is amazing! A lovely tribute to the smiling bear. Rob Kehrer was and still remains a hero to me…I looked at him as a father figure he was the dad I never had…I’m 21 years old and I have never met anyone so ambitious.Robs love for the wilderness was the first thing I picked up on when we met….he used to tell me all the time that “it’s the little things” and he was right….for some the classics was just another survival game but for Rob it was a passionate and never ending love for the natural elements and wilderness that makes up the majority of Alaska…I know no one knows me but believe me when I say Rob kehrers unfortunate demise doesn’t weigh lightly on my heart…I read every paragraph of this website everyday and I cry because Rob was the only one that stood by me even when I was past rock bottom he stuck out his hand and as much as I wanted to quit and give up on everything he stood by me giving me a reason and teaching me about perseverance self control and essentially being a father figure that I will never forget.Although he may not be here physically he lives on in every way he has helped me and taught me to be the man I am today…Thanks Rob I love you man.